On June, 24th, 2011, I, and many more of my fellow Métis citizens, had the unique opportunity of stepping into a time machine, and having ourselves transported back to the early 1800’s. This time machine, manufactured of birch bark, cedar and spruce root, was skillfully crafted by Marcel Labelle and his very capable student apprentices, in a high school shop run by the Durham Board of Education. My wife Kathy and I, drove to the event in a car, and parked in an asphalt paved lot beside a brick and glass high school. We hopped on a shuttle bus that took us down to the park by the lake, where the people we’re milling about, laughing and talking over the ringing of cell phones and amplified fiddle music. We followed the smell of the gas barbecues and placed our part of the feast upon the tables that were already groaning under the weight of many fine dishes brought by our fellow citizens. We watched as there were a few short speeches, a couple of presentations, and dancing to fiddle and drum music. It was then that we all caught the wonderful smell of burning sage in the air. 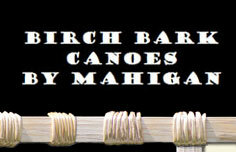 Marcel had begun smudging the canoe. As he did so, a woman walked amongst us holding a box of tobacco from which we each took a small pinch to offer to the spirit of the canoe. My offering, I took to the edge of the water, and sprinkled it upon the waves while asking the spirit of the lake to take us gently upon its liquid back. The command to lift was barked, and the canoe rose from the ground and headed towards the element it was intended for. The few trees that grew in the park now seemed a virtual forest hugging the shore of ancient waters. The sun was completing its day’s journey in the west, and to the east, a most magnificent rainbow arched across the sky. A light mist or haze began to rise from the water as women with drums in hand stepped into the surf and began to sing something mysterious, something old, something very old. One of the younger girls carrying the canoe, kicked off her foam rubber sandals as she walked, and a pair of moose hide moccasins dropped into the sand behind her. The sleek craft, still smelling of the forest from which it came, was placed upon the water. They began to climb over the cedar gunnels, Elders mostly, some quite out of shape from living too long in the city. But now as they took their positions with paddle in hand we only saw young men with muscles, rippling through a tight skin browned either by race or the sun. The women in the canoe also held paddles, their long black braids glistening in the lowering sunlight. The captain of the brigade wearing a red shirt, barks out another order in French, paddles flash and the canoe shoots from the shore and out into the lake. One of the young men stands up in the bow and tucks a fiddle under his chin. They begin to sing, their voices keeping tempo with the splash of the paddles. Whether they sing in French or Ojibway, our mind is not clear. But our souls are. And it understands every word of their song as the Métis voyageurs glide away and disappear into the mist. Sound a little crazy? Has my imagination ran away with me? I suppose that could be true, I’m not the most level headed person at the best of times. But was I alone in what I saw? No! Many of you were standing on dry land long after the canoe had been brought ashore. Yet you were still staring out across the water completely oblivious to everything around you. What were you looking at? Could you see them? The ancestors? They were with us that day, and we will remember this day for the rest of our lives.